Not all indoor plants were born equal. 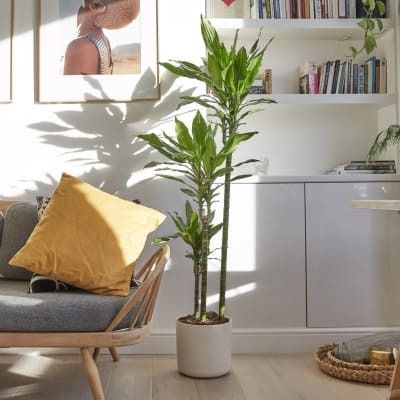 That’s why we've put together a shortlist of the 10 best indoor plants for any home or workplace (shhh...don't tell the others). Not only do they look great, they’re all low maintenance, and come in large and small sizes. 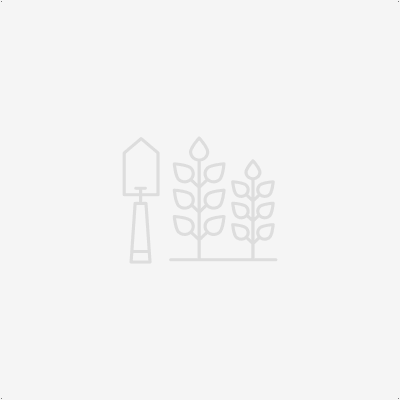 Read on to find the perfect plant for your space. Big Ken (the Kentia Palm) is a tough lad who won't be phased by difficult growing conditions. Because he has long leaves that grow from a narrow base, he's great for filling a corner without taking up much floor-space. Place him in front of a blank wall, and his arching fronds will cast beautiful shadows. Rick, one of our corn plants (or Dracaena fragrans), is an impressive indoor plant who thrives on minimal attention. With just a bit of care, he’ll grow tall and strong — and can even sprout small, white flowers if you’re very lucky. 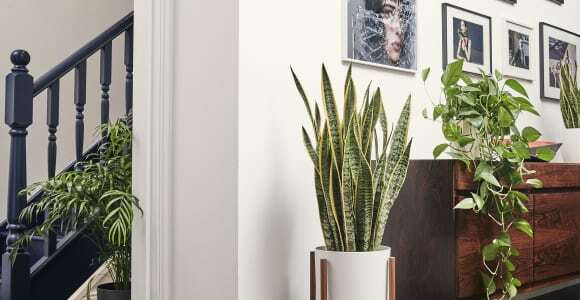 Susie the snake plant has an impressive list of nicknames, including "Viper's Bowstring hemp", "Saint George's Sword" and "Mother-in-law's tongue". 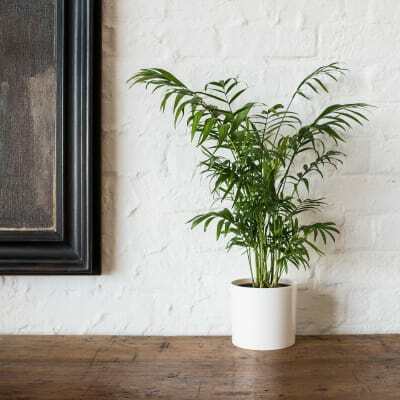 This hardy house plant is a great option for new plant parents, as she doesn’t need much watering. She also has a magic power: she releases oxygen at night, which is said to help you drift off to sleep. Pippa the peace lily can add a bit of zen to your space thanks to her soft, dark green foliage and year-round flowers. She prefers a shady spot, making her a great option for those empty corners in your home. Phil the Philodendron is a popular choice amongst house plants, thanks mostly to his dramatic heart-shaped foliage. 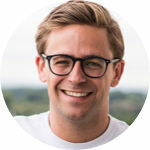 He’s not just a pretty face, though — he’s also super easy to care for, as long as you keep a close eye on him. 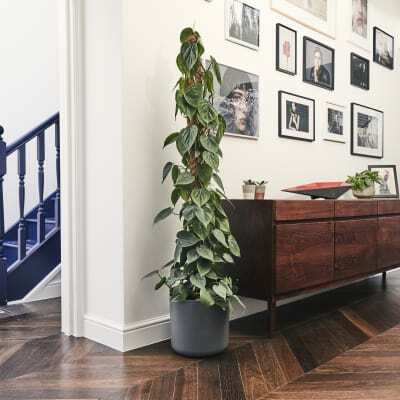 Raven, our Zamioculcas, is a gorgeous house plant with a taste for the dramatic. His beautiful black foliage makes him a true original, and he’s also exceptionally low maintenance, making him a favourite at Patch. Sharon the Chamaedorea is a real looker, with elegant, arched-palm fronds that make our hearts swell. 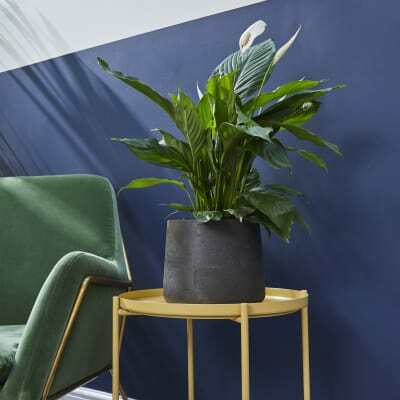 Originally from Mexico, this lady has been one of the most popular indoor plants since Victorian times (she's nicknamed the 'parlour palm'), and she'll easily thrive in any spot you put her. 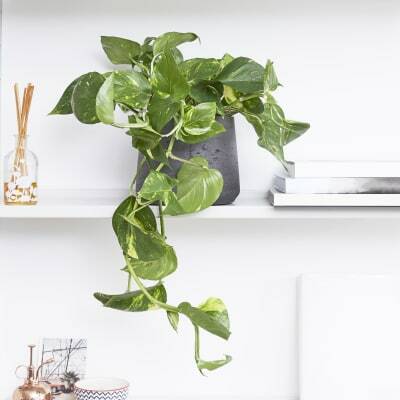 Rapunzel, our devil’s ivy, is the most versatile of our low-maintenance house plants. Her heart-shaped locks can hang beautifully off a bookshelf, or act as a privacy screen in a window. As well as greening up any nook, Rapunzel will get to work cleansing your air of unwelcome pollutants. If you're nervous about the responsibilities of plant parenting, then we recommend adopting a succulent as a starter plant. These guys are fiercely independent and mostly self-sufficient, making them ideal for the forgetful gardener. 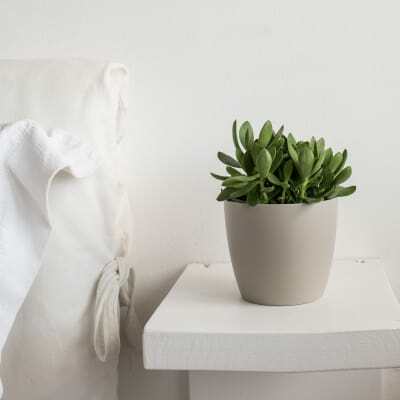 Our succulent collection comes in a variety of colours, shapes and textures, so you’re sure to find one to suit your space. Originally from western Africa, Fidel the fiddle-leaf fig will give your space that tropical look with his lyre-shaped leaves. But don’t be fooled by his pretty face: Fidel is a tough guy who can cope with less-than-perfect conditions. 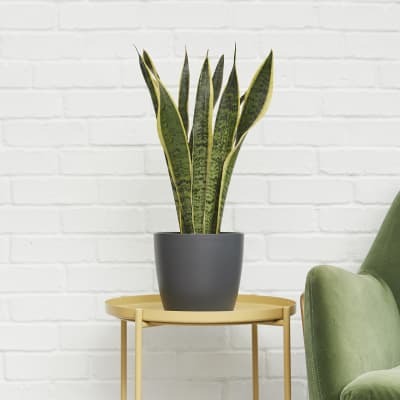 Contains one 160-180cm Howea forsteriana, one Dracaena fragrans, one 50-60cm Sansevieria, one medium Peace lily, one Philodendron, one medium Ficus lyrata, one Zamiolculcas raven, one 50-60cm Chamaedorea, one Golden pothos and one small succulent. Pots for plants are also included. 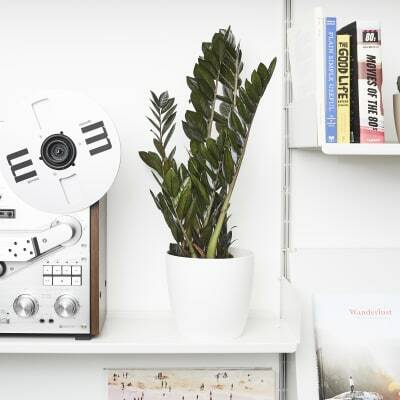 Build up your house plant collection with one plant at a time.